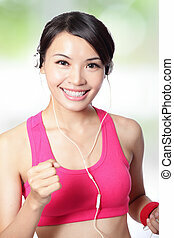 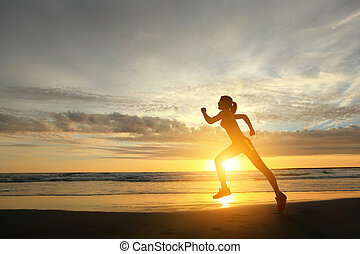 Running fitness sport woman smiling. 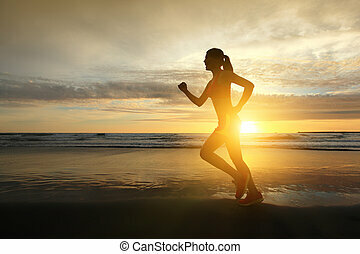 Runner girl isolated. 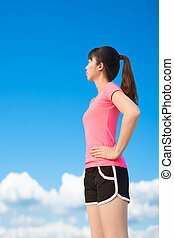 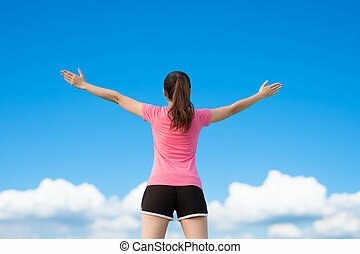 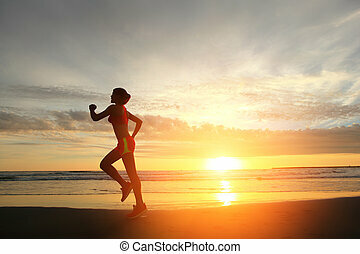 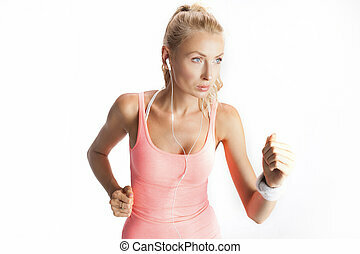 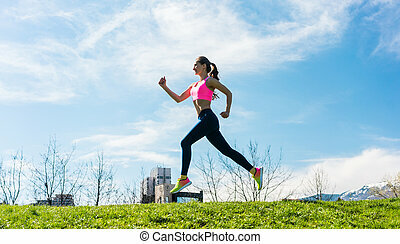 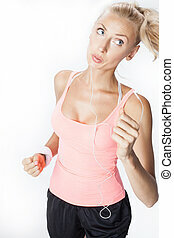 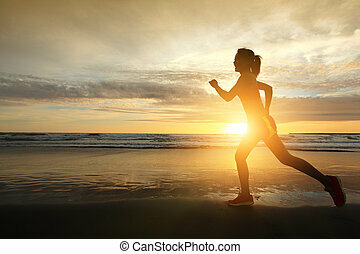 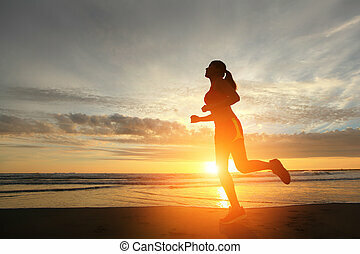 running fitness sport woman jogging smiling happy isolated on white background. 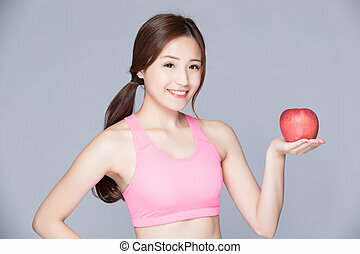 model is a asian female. 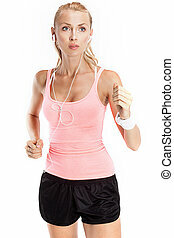 Fitness young beautiful blonde woman running. 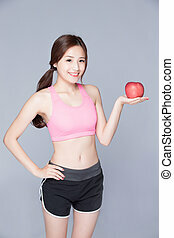 Healthy lifestyle concept. 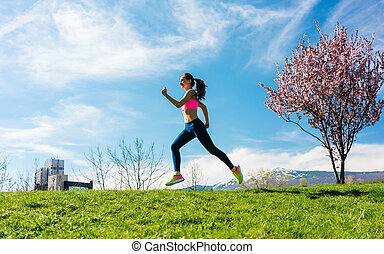 Running woman in park. 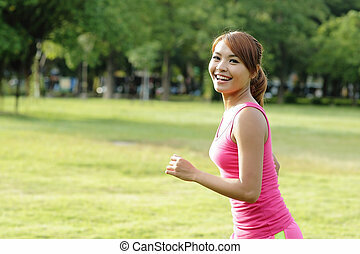 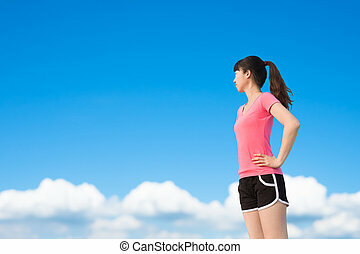 Asian sport fitness model in sporty running clothes.